Our Elegance Suite is romantic and classic. Inspired by royalty and old french charm. Perfect for traditional wedding settings or more intimate garden weddings. 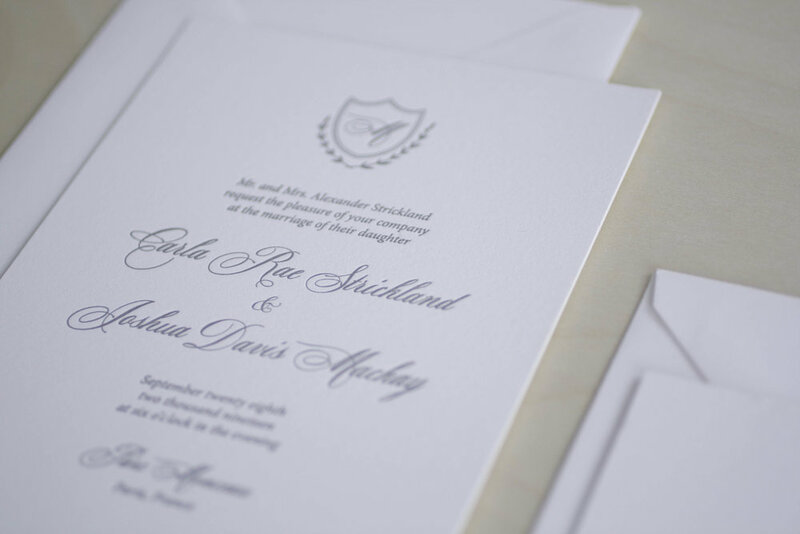 With a personalized monogram that can be used through all your wedding details.